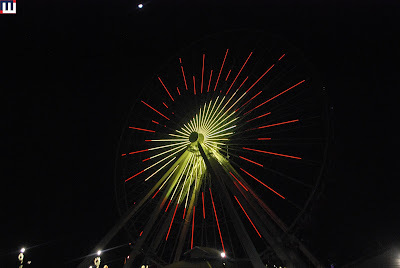 The Branson Ferris Wheel used to be the Navy Pier Ferris Wheel in Chicago. 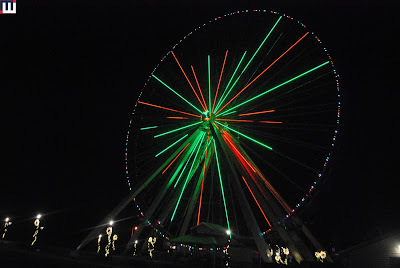 The Branson Ferris Wheel is located at the Track 4 on the 76 Strip. 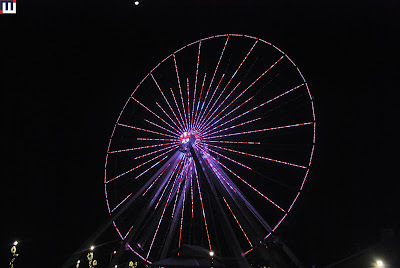 Each of the carts are open air - this makes rides a little chilly in the winter. 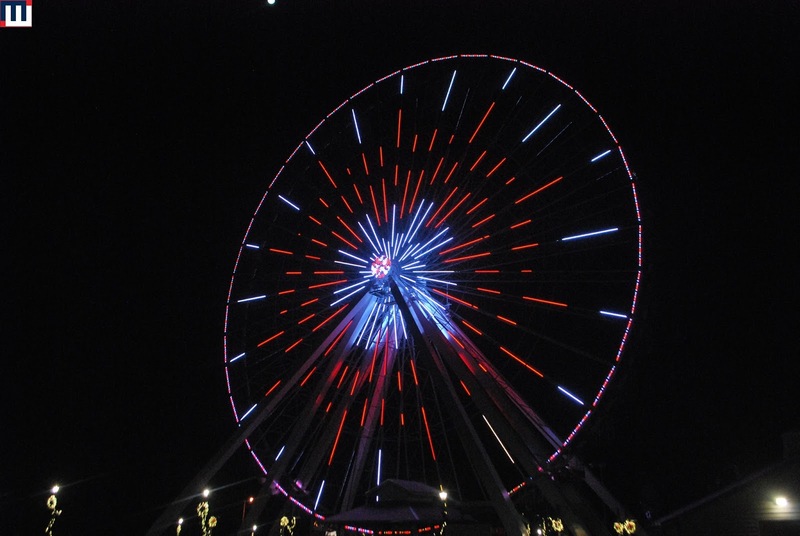 The "ride" features two trips around the wheel. 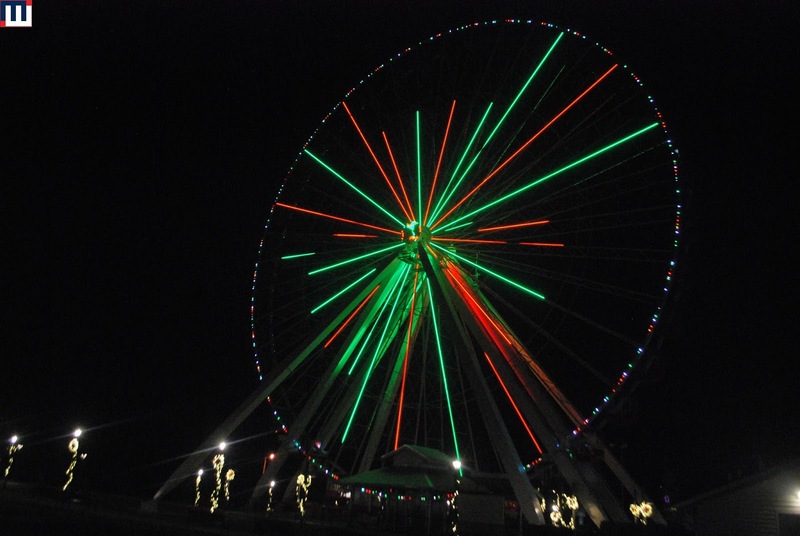 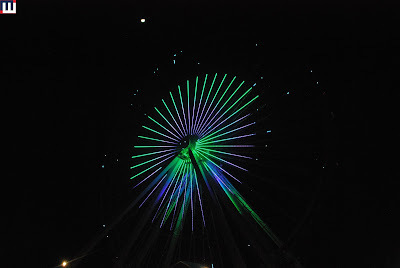 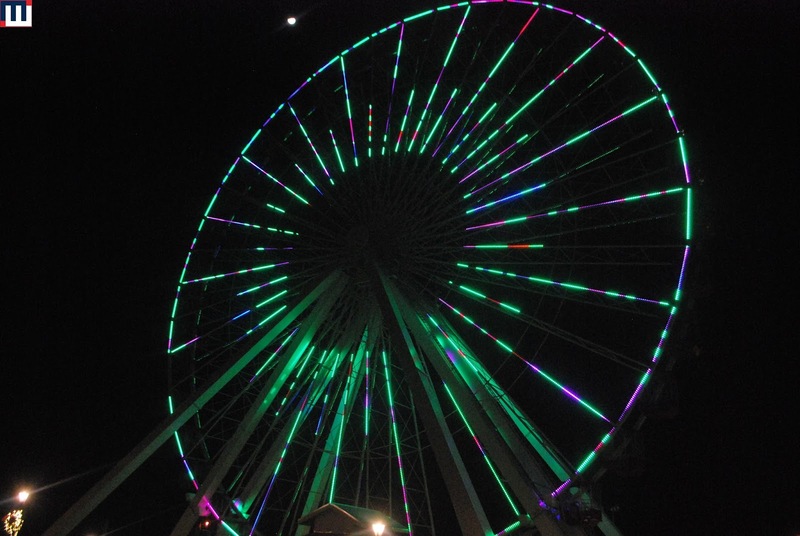 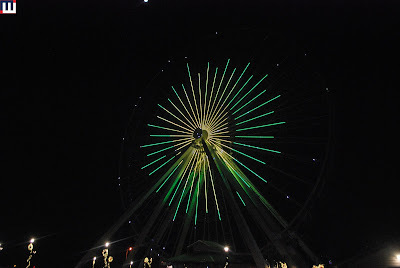 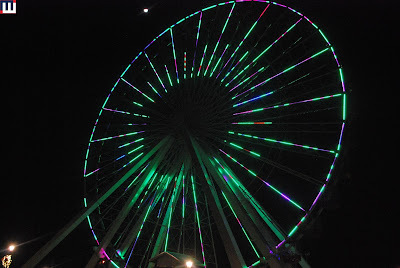 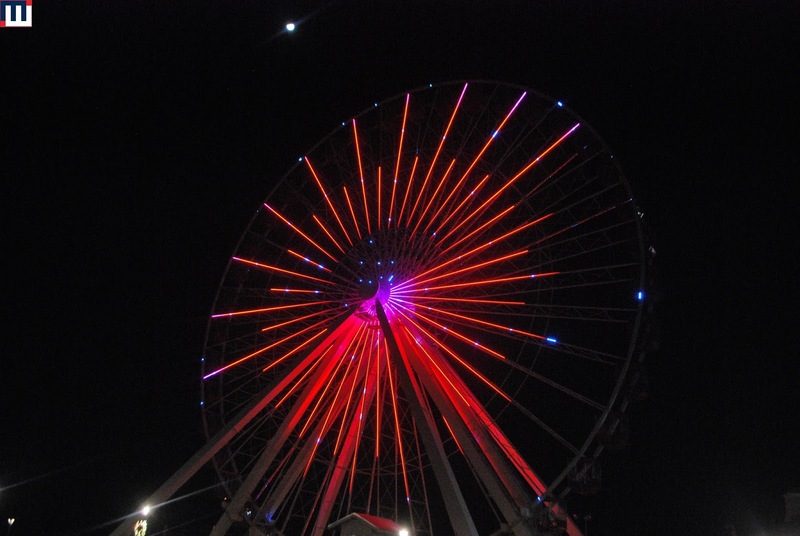 During the Holiday Season, the wheel does a light show on the hour called Electrify! 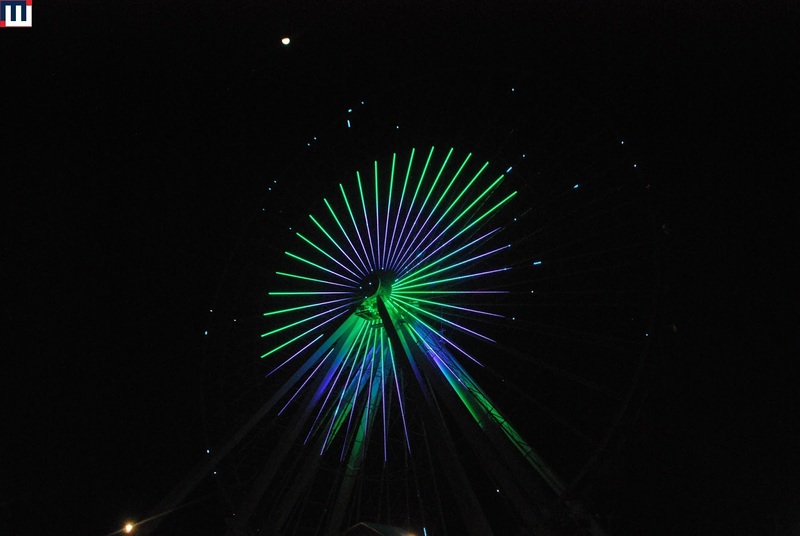 The light show is choreographed by Haygood to music that is blasted over the speakers around the area. The following photos are from the show. 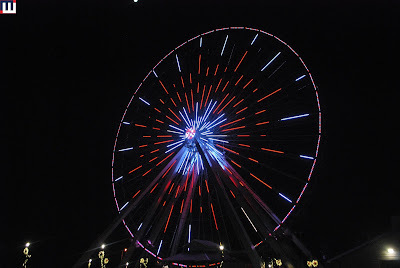 It is definitely worth a stop to watch the show and maybe even take a couple laps around the wheel. Great addition to the Strip.